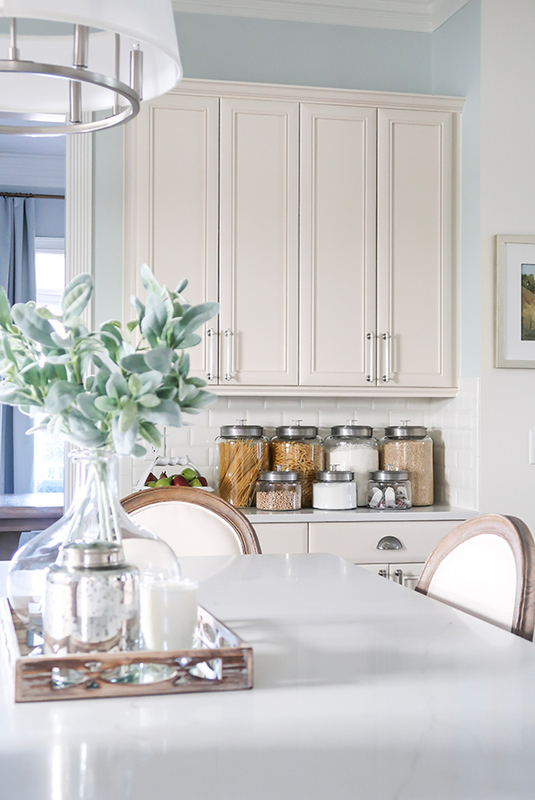 Looking for ways to maximize kitchen counter space and clear clutter? 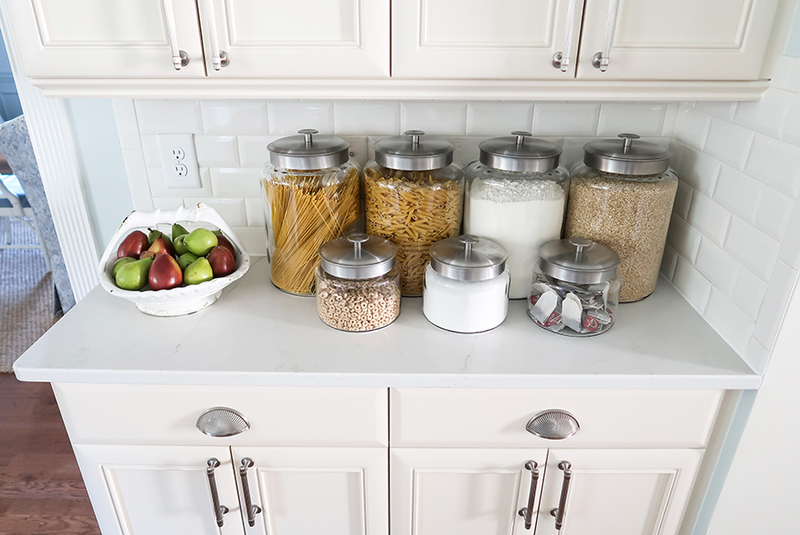 Glass jars are a great way to organize bulk items and free up cabinet space! 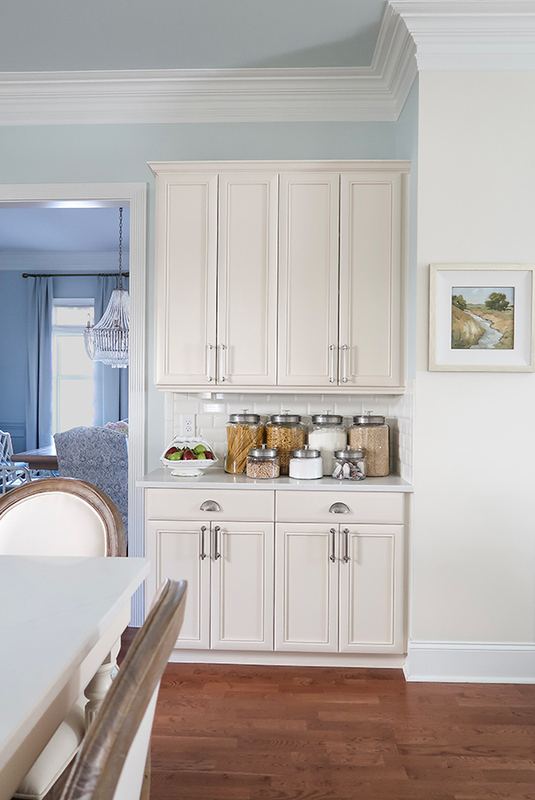 A universal truth in everyone’s home is there is never enough storage in the kitchen and counters seem to get cluttered quickly. Yes, even at my house I struggled with both! 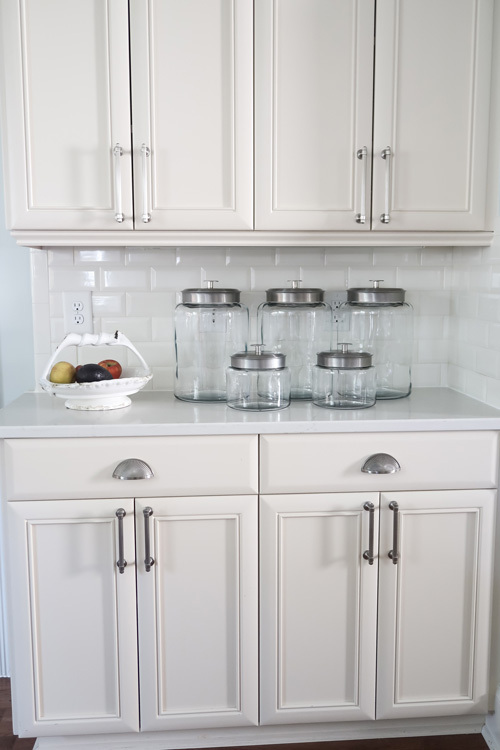 To get more organized and to stop storing so many things in plastic, I decided to use general store glass jars to create a countertop pantry. Guess what? It looks so charming and I have an entire cabinet cleared out to use for storage. This may be a great solution for you! Maybe I’ve watched too many Netflix documentaries explaining how plastic is everywhere and not very good for us? Recently, when making my famous spaghetti and meatballs, I realized my pasta had been sitting in plastic for months! Then during the holidays, my mom and I were making cookies and baking is something I don’t do often. The flour, baking soda, and sugar had been stored in plastic too. Was that safe? Could I find a better option to store items I don’t use very often? Here is a picture of the cabinet in question with the plastic containers I eliminated from my life. Ah the forever battle to clear clutter! We are all faced with it every day, but the best method for combating a messy counter is to find a home for everything! Mick is usually in the dog bed waiting for me, so I look at him first and avoid the seeing clutter. This bank of cabinets acts as my pantry, since I don’t have a traditional closet pantry. The mistake I made was to use the counter between the cabinets for a downstairs “office”. It’s the drop zone for stuff and not what I want to look at right when I walk into the house! Luckily I have a large counter, cabinets, and drawers in my laundry room. 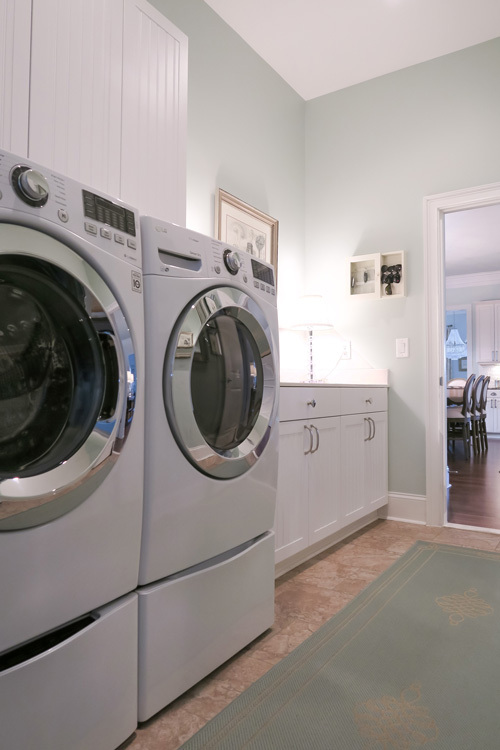 As you can see, I pass through the laundry room from the garage before even getting to the kitchen. It was time to move the clutter to this room and behind closed doors. The idea to use glass jars in general came from a Pinterest post that I saw and thought “now that is so cute and a great idea”. This project was inspired by Ella Claire and the shelves she created in her kitchen to add more space. 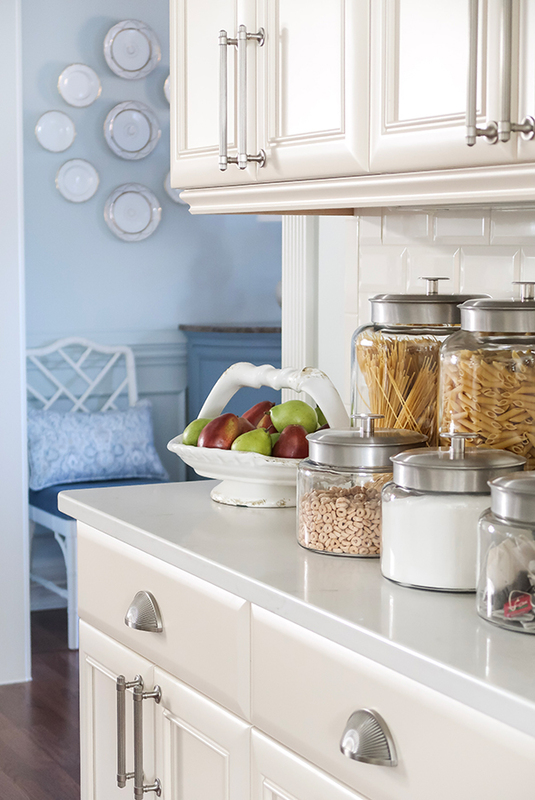 She added 16 glass jars to all of the shelves and filled them with a variety of bulk items. 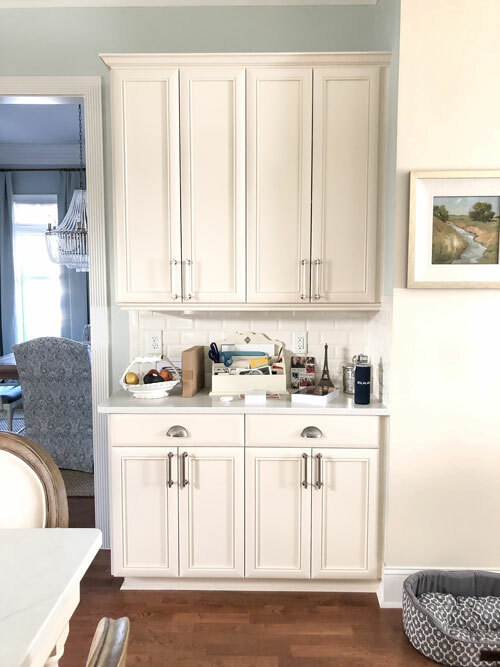 Now I didn’t need THAT many jars nor did I have the space to add shelving, but they were the best option for the small counter where my cabinet pantry is located. So I went on the hunt for lidded glass jars and found a wide variety of options from round, to square, with glass lids, and metal lids. In the kitchen, I already had the small round Montana Jar and a small square jar at the coffee bar. They both have served me well and kept items fresh. If I could find the same design tall enough, it would complement the other items on my counter. What was important is finding a jar tall enough for spaghetti 🙂 Luckily, on Amazon I found a large option that was PERFECT! Anything you buy in bulk or will lose freshness if not stored in a sealed container is a great option! Plus being able to see through the glass jars means that you know exactly what you have and when it’s time to buy more. Plus going “old school” and back to glass storage felt safer and healthier long term. At first, I thought I could only fit 3 ea. large jars and 2 ea. small jars. It did look neat and clean, but there was definitely more space to be used. Plus I wanted the jars to cover over the cable and plug outlet too. So I ordered one more tall and short jar, to store more stuff! When I updated my counters from granite to quartz, I moved the fruit pedestal off of the island to de-clutter it and onto this counter as the perfect addition. Unfortunately, the fruit pedestal is from a gift shop and I’ve never found one that is similar to link! Adding this jar pantry to my counter has been a game changer! It looks SO much better than what was there before and it is getting used all of the time. Our dog Mick can’t eat much other than his food, but we found he can have Cheerios as a treat. Now they are sealed and kept fresh. When I grab a tea bag, he thinks he should get Cheerios too! Now when I walk in the house or glance over at this counter I love what I see. There is no room for clutter, so it stays like this everyday. One plug is free to charge my camera batteries or for guests to charge their phones when visiting. My son and mom requested I keep this outlet available for them. Done! Now the flour, sugar, pasta, and chai tea stays fresh until I’m ready to use them. To scoop, I just bring over my measuring cups or small bowls to fill. You can see how truly narrow this space is at this angle and why I really needed to free up the cabinet below for more storage! Happiness is an organized and clean kitchen! Unfortunately, the tray was also found at a local gift shop. I tried to find a similar look for you! Now check out the before and after! 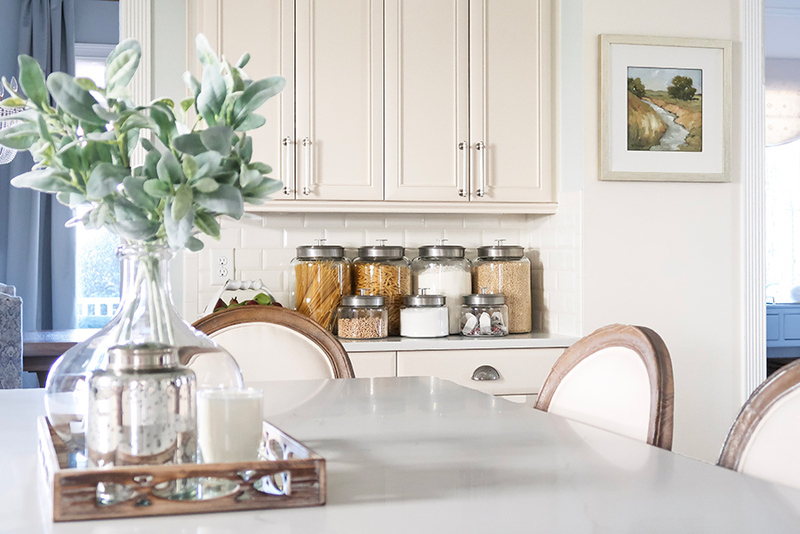 Amazing what a few jars on a counter can do to add a whole new look. 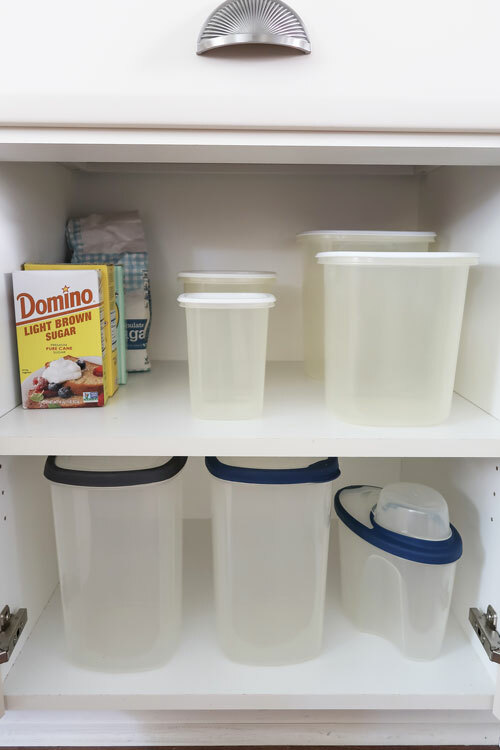 I hope you found this idea inspires your own plan to clear off clutter and clean out a cabinet. 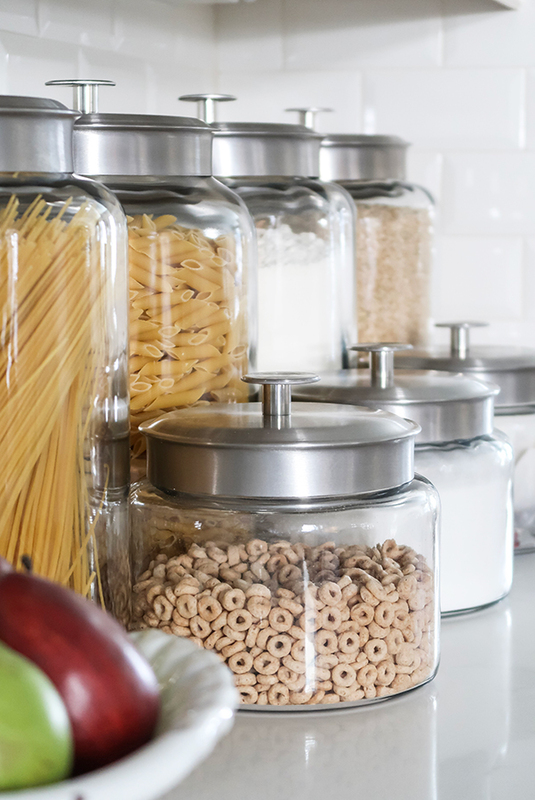 Glass jars an amazing alternative to store just about everything. Now I need to organize the laundry room counter LOL! 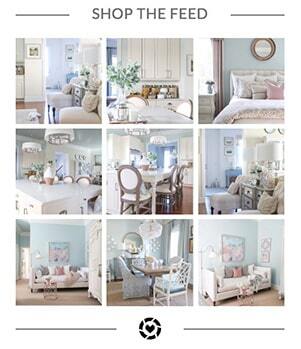 If you like this project, you may enjoy seeing my recently organized Home Decor and Gift Wrap Closet. 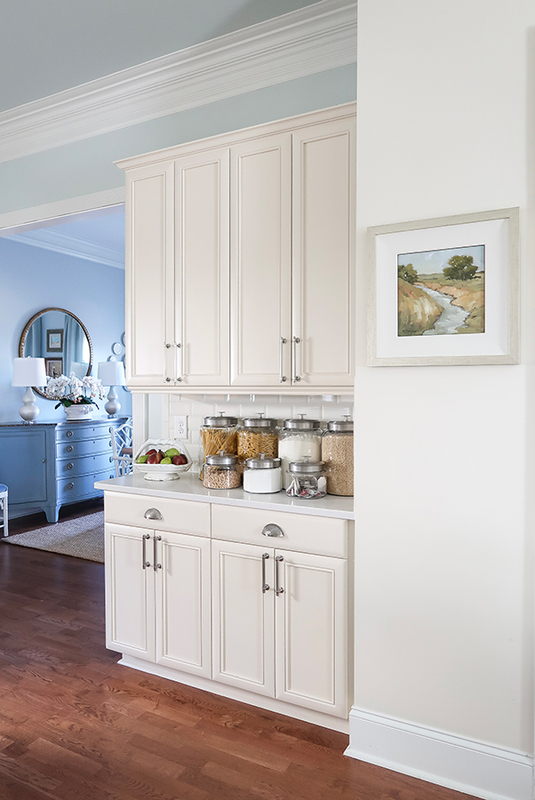 It’s one of my favorite makeovers because it created more useable space out of a basic linen closet! 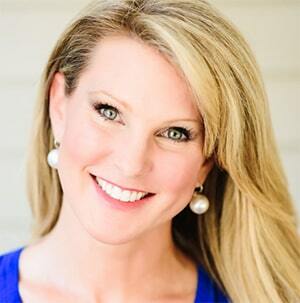 Please consider signing up for my weekly email newsletter, so you never miss a post. Cheerios are a great way to get your dog to “love” any toddleing strangers that might visit. Plus they are safe for most toddlers to eat. Your home is always so pleasant to view. Thanks for sharing. Thank you! Yes and for me to nibble on as a snack and for my son to eat for breakfast. Cheerios for the win! That looks great. I have a pantry but everything is in the boxes and packages they came in. I am going to go buy glass jars today and make the pantry look so much neater.Thanks fo the inspiration to do this. Love your blog. Yarlette, thank you so much! My hope is always to inspire others and I am glad you found this useful. I LOVE the way it looks and it’s so convenient too.